After you try today's holiday tutorial, see if your creations can score you some holiday kisses if you hold your hand above your boyfriends head. I tried it on mine...it totally works! I came up with a fool proof way to get perfect mistletoe leaves every time. It's easier than you'd think! 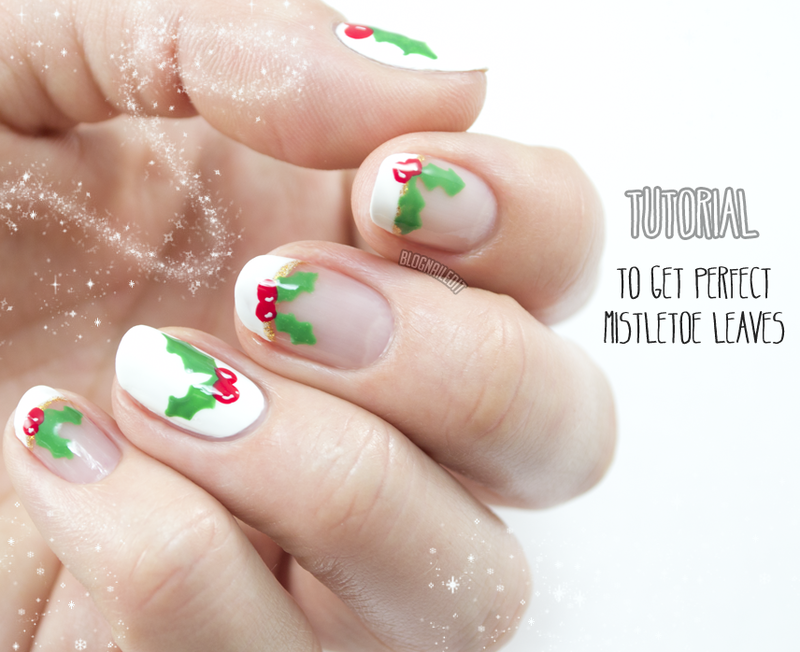 This is another Divine Caroline collaboration, so head over to that post here for all the details on this fun Christmas nail tutorial! Hi Katy, thanks for the tutorial! These look easier to do than I first thought. I love the golden line accent -- that really makes this mani special.